Microsoft has extended the Windows Defender Advanced Threat Protection Preview for a broader group of customers interested in testing and providing feedback. 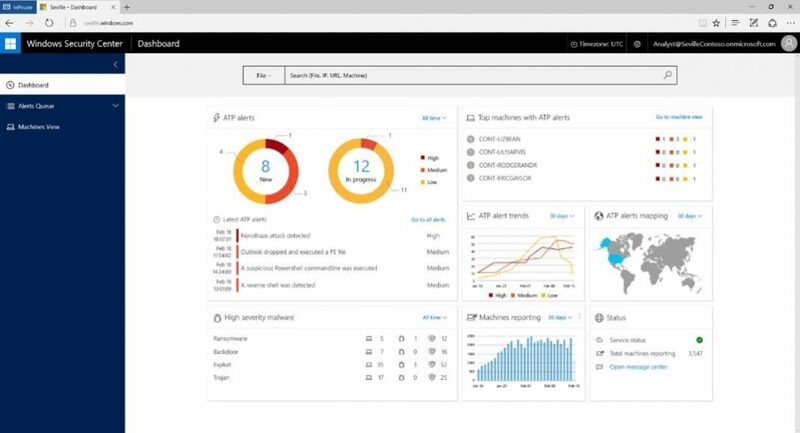 In March, Microsoft introduced Windows Defender ATP for enterprise customers. Windows Defender Advance help enterprises detect, investigate, and respond to advanced attacks on their networks. The service is already live with early adopters that span across geographies and industries, and our entire Microsoft network, making it one of the largest running advanced threat protection services – already protecting more than 500,000 endpoints. Just like we developed Windows 10 with feedback from millions of Windows Insiders, we will continue to work with our enterprise customers to address their biggest security challenges, including attack investigations and day-to-day operations, to test our service in their environments and gather their feedback. Preview is available through invitations and price of Windows Defender ATP is not yet decided.